Appointment order of Group-D (Peon) in Fisheries Department Haryana, Panchkula recommended by Staff Selection Commission Haryana, Panchkula. Advertisement regarding E-Auction of notified waters of the State for Fishing Rights for the year 2018-19. The State of Haryana, which was carved out of most backward region of erstwhile Punjab in 1966, has now earn a reputation of being one of the most prosperous State in the country. The State has good water resources in the shape of rivers, canals, drains, natural and man made lakes / reservoirs / micro-water sheds and village ponds to enable promotion of fisheries. Fish culture in Haryana is little difficult due to non availability of fishermen community and mostly vegetarian population. As per requirements of circular letter No.5/4/2002-IAR dated 30.7.2005 from Financial Commissioner & Principal Secretary to Govt. 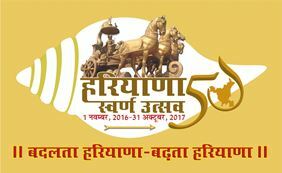 Haryana Administrative Reform Department.